I am looking for a ride with anyone going to watch the Total Solar Eclipse on August 21, 2017 and leaving from San Angelo, Texas before the event day. I will help with gas and expenses to get there and back. I am willing to go to anyplace along the path in the USA starting around Nebraska; Kansas; Missouri; Kentucky or Tennessee. I have good camping gear and telescope with solar filter I can bring along on the trip. If you are not into camping that is fine also. The time frame for the trip must start before August 21, 2017 so we can get a good observing spot and be set up for the big event on August 21, 2017. The eclipse will last for a short time on the event day of August 21, 2017 so we must be setup and ready by early morning (about 9:00am CDT) depending on where we setup along the eclipse path. One of the sights of a lifetime! Pay attention to the best spots shown on the map on above website. As they say close is not close enough, it really does make a difference where you view the eclipse. We will need to be inside the gray path area somewhere along the curve and of course being on the center line is the best in the gray path area. The swath of the shadow will touch the United States for only 1h 33m 16.8s. 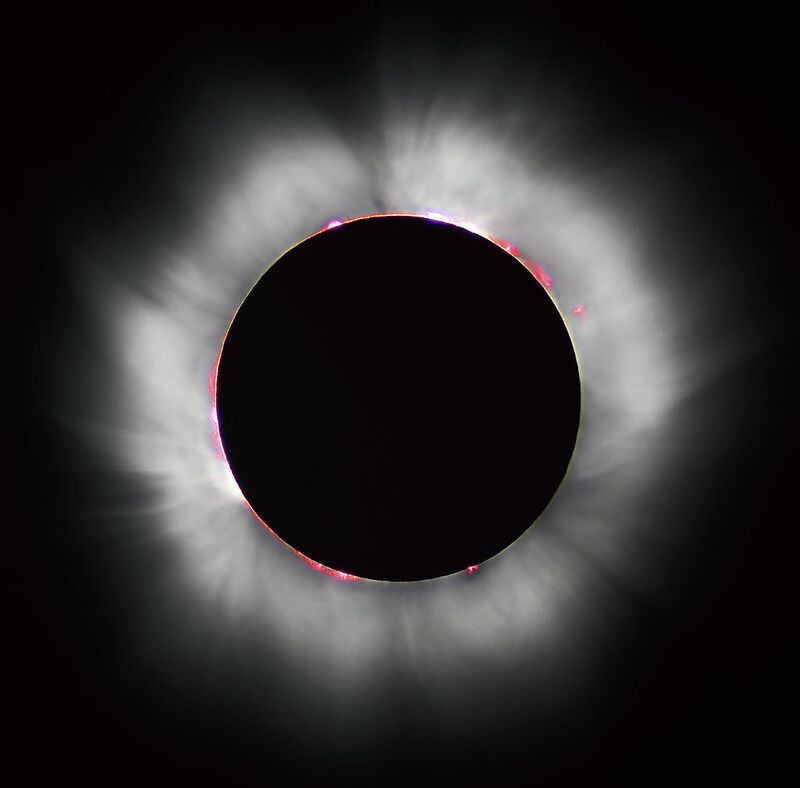 The next Total Solar Eclipse near the USA is in 7 years and you will need to go to Mexico to see it. Call or email with questions or to talk about this special event. And here is to great viewing and clear weather on Total Solar Eclipse Day August 21, 2017. The Total Solar Eclipse on August 21, 2017 is not visible in Texas and that is why I want to go out of Texas to see it. Contact me as soon as possible so we can work out the details on going to see this great event.